The City of Gilroy Recreation Department and Gilroy Children’s Musical Theater production of “Gleeful!” seeks 400 GCMT family members and friends to appear in a large dance number at Christmas Hill Park in Gilroy. The dance is featured in our movie musical “Gleeful!” that will play at Morgan Hill’s CineLux Theatres in early 2012. We encourage friends, moms, dads and grandparents to join in the fun. Ages 9 to 101! No dance experience needed. What to wear: A short sleeve plain white crew neck tee shirt and classic blue denim jeans. No shorts. Dark shoes preferred. How to prepare: In order to participate, you must rehearse with our Youtube video prior to the event. SIGN UP REQUIRED. SPACE IS LIMITED! What cast member do you know? In case we have a wet weekend: Please check out our website the night before the event for details. If it is wet outside but not raining, we will continue. If it’s actually raining in Gilroy, we will reschedule. AUDITIONS for John Bisceglie’s production of “Gleeful Live!” in San Francisco! Perform on stage for 4000 people at the beautiful Palace of Fine Arts Theater in San Francisco. 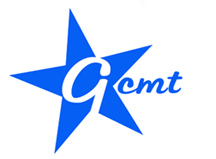 "GCMT was an amazing experience for our son and our entire family. The director, John Bisceglie, is a creative genius. The kids absolutely adore him, and he manages to keep them in-line (literally) and excited at the same time." Read more.